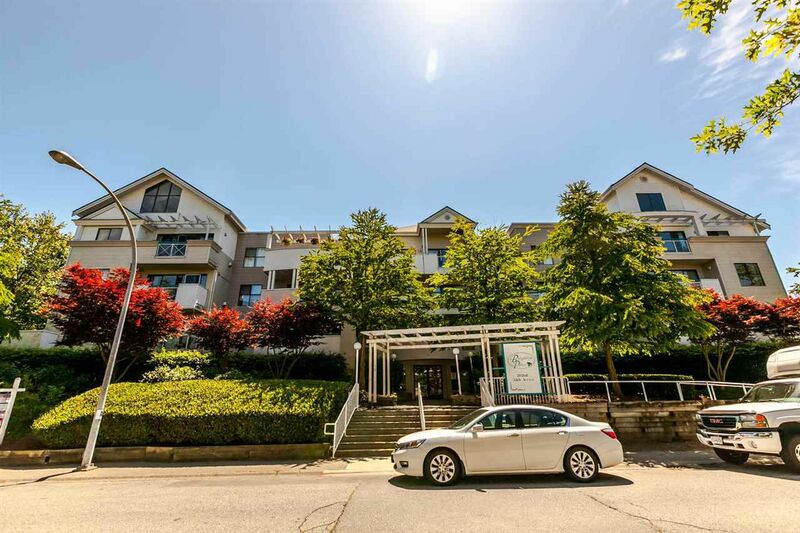 Spacious, tastefully updated 2 bdrm/1 bath top flr unit (w/skylight) in Brighton Place is a great opportunity to live in or for investment as rentals are allowed. This super unit has been recently updated incl fresh paint, gorgeous engineered h/w flrs, attractive baseboards, updated appliances & more. Attractive tiled entry. Spacious kit w/breakfast bar, loads of cabinet & countertop space & updated stainless appliances. Entertainment sized din rm & liv rm w/gorgeous engineered h/w flrs, cozy gas f/p & dr to very spacious balcony. 2 bdrms incl spacious mdbrm w/w/i closet. Separate laundry rm w/updated washer/dryer. Recent reno's in building inc. interior paint, carpet & roof! Convenient loc close to shopping.